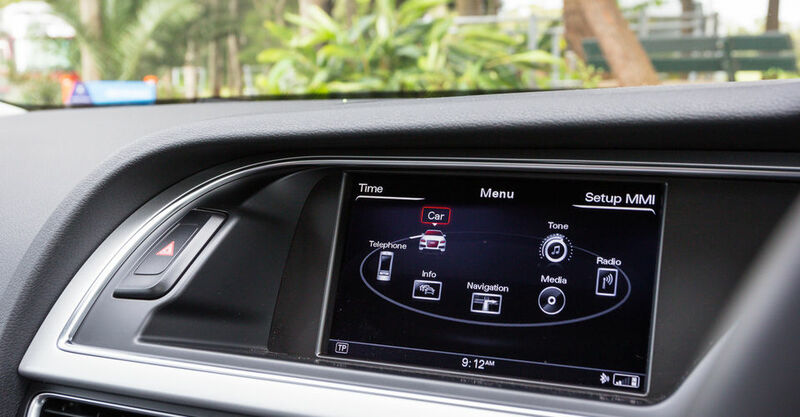 Having recently driven the all-new 2016 Audi A4 at its international launch in Italy, you might expect me to suggest you wait for the imminent arrival of that new model (late November 2015) before laying down your hard-earned dollars on an A4. While the new A4 is an evolutionary improvement and an undoubtedly impressive all-rounder, there’s still some life in the old dog yet so to speak. 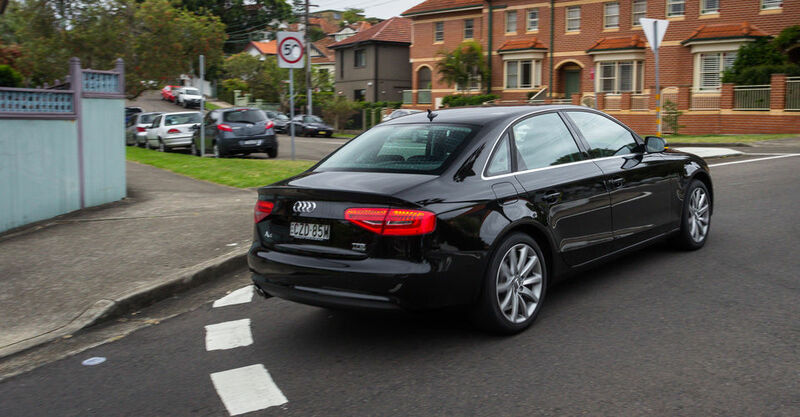 A week behind the wheel of the 2015 Audi A4 2.0 TFSI quattro reminded everyone at CarAdvice of two things. Firstly, it hammered home the point that the 2.0 TFSI quattro model remains the pick of the A4 range, and secondly it also highlighted the reality that the new model has by no means rendered the outgoing A4 redundant. 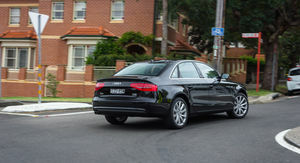 Read our launch review of the new 2016 Audi A4 range here. The A4 has always been an important vehicle for Audi and a figurehead of what the German brand stands for. 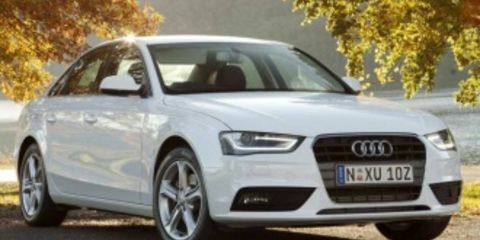 Globally, the A4 is Audi’s most popular vehicle. 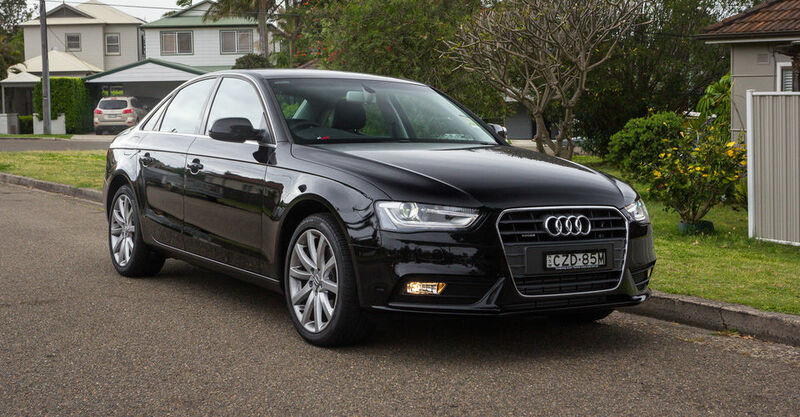 In Australia, the rabid crush to get onto the SUV ownership bandwagon means the Q5 takes that title, but the A4 is still a long-time favourite among Australian buyers who need or want a quality mid-sized sedan. 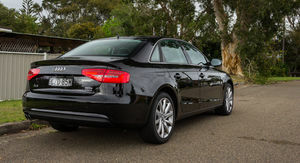 There’s good reason for that too, the A4 delivers a potent mix of practicality, comfort, quality and performance, depending on which model within the extensive range takes your fancy. We’ve taken a close look here at the model variant we think is the pick of the A4 range, the 2.0 TFSI quattro. If you’ve got a hankering for an Audi A4, now might be the time to go to work on your dealer too. Dealers certainly won’t want the old model sitting round taking up space, when the new one arrives on the showroom floor. 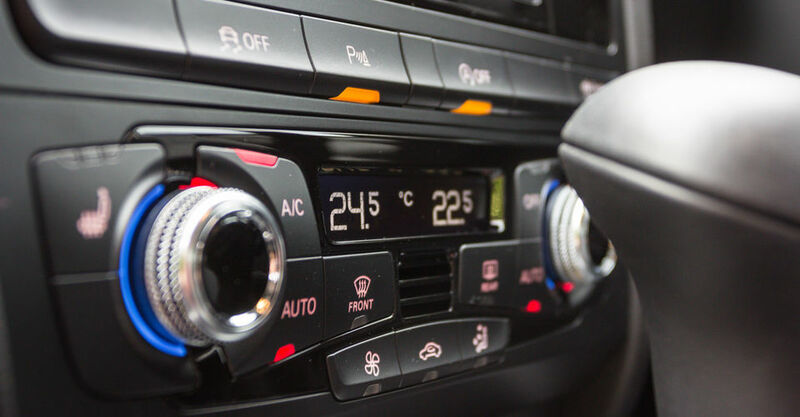 We did some quick research in the CarAdvice office and found some compelling drive away pricing in a variety of dealers around the country. Don’t forget these prices are the manufacturer recommended guides and you need to add the raft of drive away pricing on top, but there’ll be some bargains to be had well below these quoted prices if you’re a smart shopper. As tested, our 2.0TFSI quattro is fitted with a sunroof ($1731.00), heated front seats ($538.00) and has the convenience key option costing $962.00. That brings the as-tested price to $63,131 plus on road costs and dealer charges. 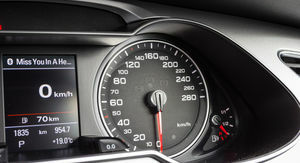 Back to the 2.0 TFSI specifically though… The direct injection turbocharged two-litre engine pumps out 165kW between 4500-6250rpm and 350Nm between 1500-4500rpm. It’s a heady combination when paired with the excellent seven-speed S tronic gearbox, and the A4 gets from 0-100km/h in 6.4 seconds. The ADR fuel figure for the A4 is 6.7L/100km – not bad when you consider how nimble and responsive the A4 can be under the right driving conditions. On that subject, the standard quattro drivetrain helps the A4 use every bit of power and torque as efficiently as it can. 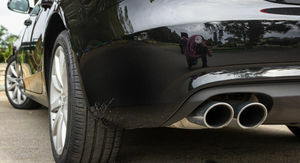 Around town for our review we saw figures 8.5-9.0L/100km range without trying to be too efficient or frugal. 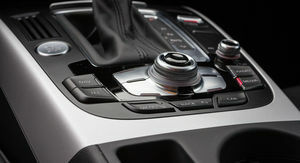 The other side of the coin with the 2.0TFSI though is performance on hand when you desire it. The engine delivers its power and torque low down in the rev range, especially the torque peak which rolls on from a low 1500rpm. It’s the perfect combination around town. You can get the A4 off the mark quickly, you can get up to the speed you want quickly, and roll on overtaking is a cinch too. The A4 is the kind of car that is genuinely enjoyable at mundane speeds such is the punch of the engine and the way the drivetrain transfers power to the wheels. Put it this way, in this class, you’re never left feeling like the 2.0TFSI is underpowered or short of grunt. The quattro drivetrain makes use of every available shred of power too. The A4 has always had a slight weight disadvantage (around the 115kg mark) compared to its most obvious foe, the BMW 3-series, with the quattro drivetrain probably making up most that deficit. Despite that though, the obvious advantages of all-wheel traction, especially in wet or slippery conditions more than outweigh – no pun intended – the marginally more portly overall package. Take a seat in the A4’s cabin and you’re immediately reminded of how well a properly designed and laid out cabin can age over time. 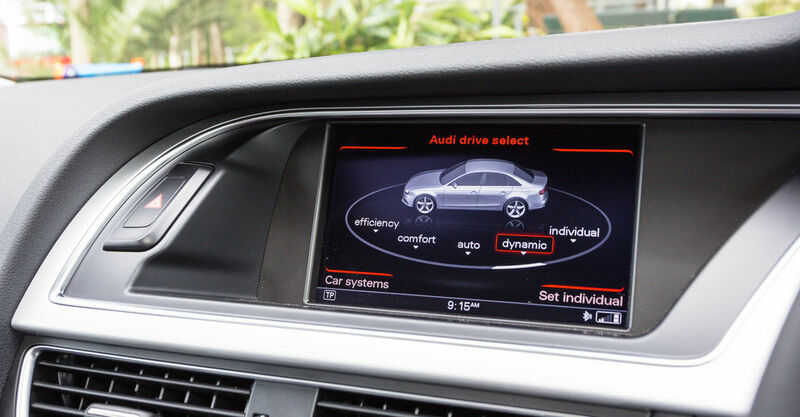 The 2015 A4 doesn’t have the avant-garde whiff of Audis new, nor does it feature the clever and user-friendly virtual cockpit system that has impressed us in TT and R8. 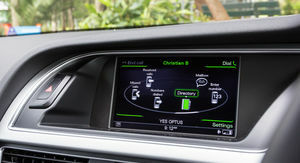 It does however deliver every piece of information you need, it does so clearly and the major driver interfaces between vehicle and controls are exceptional. One of Audi’s strongest selling points of late has been a premium cabin feel and there’s no doubting the presence of it in the current A4. The driving position is close to perfect, visibility is excellent and you’ll be comfortable no matter which one of the four main seats you occupy. 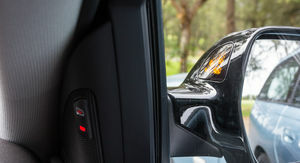 We found getting comfortable behind the wheel to be impressively easy. The combination of clever physical positioning, and just the right range of adjustment makes the A4 a winner in the ergonomics stakes. The steering wheel adjustment especially, is expansive enough to accommodate drivers of all heights. Importantly, the cabin is also spacious, so while the A4 slots into the compact luxury sedan segment, it’s by no means compact internally. The second row delivers more legroom than you expect, although if the driver is particularly tall, the passenger behind them will be a little cramped. It’s not a deal breaker though and we’ve previously found the A4 to be slightly roomier than its competitors. 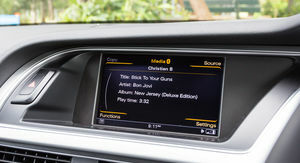 We’ve always liked the Audi’s MMI system and while it’s ageing a little now, especially with the advent of virtual cockpit, it’s by no means a poor system. The buttons and controls are simple to use and the general ergonomic layout is right on the money. The A4 gets a 60:40 split backrest for the rear bench and a 480-litre boot, which is more than spacious enough for this segment. The folding backrest lets you carry longer luggage like skis or bicycles as well. 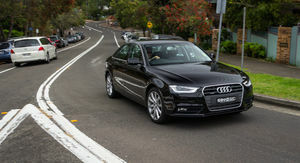 The A4’s around town ride quality and bump compliance is exceptional. It has that typical Audi sense of being carved from a single block of granite and that feeling translates through to the ride, which is beautifully insulated no matter how poor the road surface you’re bombing over. It simply adds to the feeling of quality, and it’s one of the signatures of an expensive European vehicle that can be lacking when the ride is tuned more toward sporty handling than ride compliance. Despite its ability to iron out surface imperfections with ease, the A4 is capable of handling beyond your expectations too. Head for a twisty country road and the A4 can really hook in, with surety and plenty of grip. You’d have to push the quitter system well beyond it’s limits to ever feel unsafe behind the wheel of the A4. 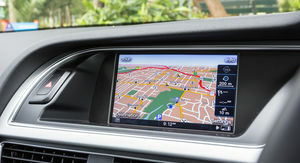 Ultimately, the Audi A4 especially in 2.0TFSI quattro guise, is a reminder of just how enjoyable medium sedan ownership can be. It’s a segment that has always delivered a mix of practicality and driving enjoyment when you get behind the wheel of a well sorted European example. While there’s a new Audi A4 just around the corner, there’s no reason not to consider a run out model if you’re on a budget. 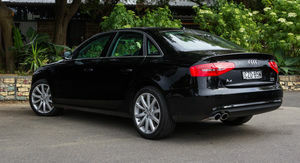 The current Audi A4 will do everything you need it to with style and composure. Click on the Photos tab for more images by Christian Barbeitos.